Substance and Vainqueur manage to capture another release worth of fluttering, rarified dub tech styles for the Scion versions imprint. While the last excursion leaned towards deep techno variations, Scion Version 2 comes in the shape of two deep and deeper dub house excursions draped in the luxurious and intricate delay and reverb concoctions these guys have made their own. 'Reverberation' on the A-side dives deep into a convective dub current swimming in a luscious head-down groove, pure cosmic dancing styles with a subtlety that cannot be beaten or imitated. 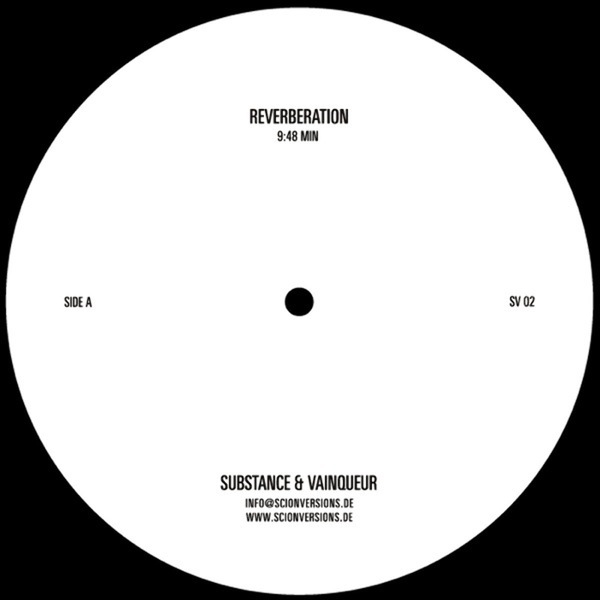 'Reverberate' collapses the A-side's airy atmospheric structures into an even more minimal revision of nuanced dub plumes, spectral echoes and a sunken bassline groove I could happily listen to on repeat for days. Nobody comes close to these guys for this kinda stuff, and their welcome return to the scene will hopefully show a whole raft of dilettantes how this sh*t should be done. Dubbed to infinity and far beyond. SICK TWELVE!!! !